Healthy choice foods are the way to reach a happy vibrant old age. 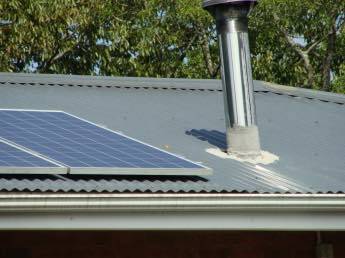 Healthy choice foods are in the main not difficult to make; slow food made fast is our slogan. When I was young I certainly didn't think too much about death. That's particular true for the Christian anyway; death, where is thy sting? But now that I'm getting long in the tooth, one starts to reflect on what's left to be accomplished? Hurting bodies that still need chiropractic care. Nobody but me is going to lead my grandchildren Ruth and Beth, Matt, astray and teach them about the joys of beekeeping, flying gliders and riding motorcycles. Perhaps they'll even get interested in carpentry and creative writing. Will they grow up wanting to be DCs like their great grand parents, grandfather and their mother? I'm planning to be at their weddings; that means plenty of healthy choice foods in the interim. It's my conviction that if your day to day eating habits are chosen in the main from healthy choice foods like these, then periodically you can left your hair down. Like my birthday in Mannlichen; from here I can almost reach out and touch the North Face of the Eiger. It was a pretty junky lunch, but that's fine now and then. The alternative is the steady decline in the older person to what's known as the frailty syndrome; know these five criteria. You won't find freshly picked sugar snap peas, radishes and hummus in a fast food restaurant. 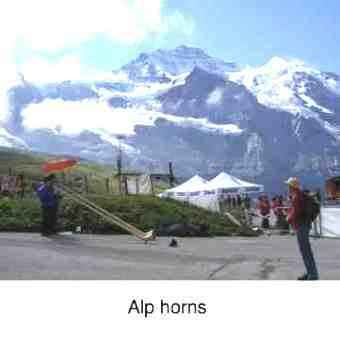 The entertainment, Alphorns, and that's the Jungfrau in the background. Going along with healthy food and exercises, is the importance of taking time to smell the roses; astonishingly, this is one of the cheapest holidays we had in Europe. 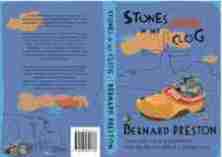 My third book Stones in my Clog is done, but there's the marketing now. Having spent six years writing it, I better spend some time getting it into the hands of people like you! I've moved into the ebook market. 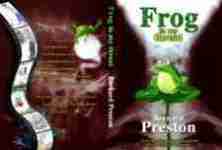 The Bernard Preston books now sell for a fraction of their paperback prices, but you do need a Kindle, Nook, smartphone or tablet. My fourth book, A Family Affair is also complete, a totally different and controversial genre, just study the cover carefully, and I have a fifth lurking... Caring for the Temple. A subject many Christians studiously ignore. In days of yore we took our food more seriously than we do now. 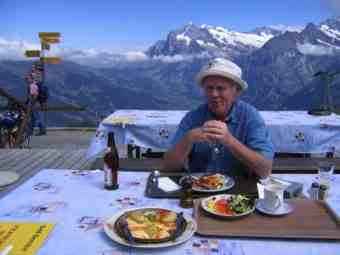 Not that we love our food less; has there ever been a time when people weren't fonder of their sup than anything else? No! But we respected our food more. And I suspect enjoyed it more, but who is to measure that. I have such fond memories of my childhood. 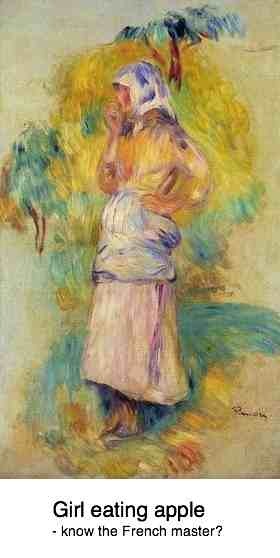 My father for instance, treated his citrus trees with the greatest respect. Nowhere could you find sweeter and juicier valencias than on our farm. They were irrigated with the sweet water from the Umngeni River which is alas not so pure today, and the oranges were fertilised by the manure and composts from what was left of the maize stalks, and cattle and pig manure. The orange blossom honey from my bees was light and pale, with the pure bouquet of the finest nectar. In the milking parlour, my brother and I would dash, mugs in hand, to sample the freshly drawn milk. There are few things nicer than the foam from a bucket straight from the cow. Or my mother's apple tarts; I would be sent to pick baskets from the moss'd trees, heavy in fruit with ripeness to the core; preferably the toppies had taken a peck or two; then we knew they were at their sweetest. Those birds have a better eye than we for when the fruit is fully ripe. Her puff pastry had no equal I was convinced as a child. May I have a little more, please, Mum? And this to complement a heavy regimen that they both enjoyed at the chiropractic coalface. Television didn't exist, and the cinema was just a rare treat. Compared with the delights of dad's farm, and my mum's garden, it's little wonder that I find TV small beer when measured up against my bees, or brewing mead, or turning the leg of a chair on the lathe. Even in three dimensional, high definition and blue ray it's mostly so second rate. We lived simply but, by George, we ate good food. What am I driving at? It takes choice foods and exercise as well as chiropractic for the body to take us through into healthy old age. And that's exactly what I plan to do. Don't you want to join me on this marbles intact at eighty plus health food kick? Actually, it's quite fun. Foods to reduce inflammation are daily on the menu so, coupled with good chiropractic care, that's a life with much less pain. It really is boring having to think every day about the doctor and the pharmacist; even your chiropractor. Let your food be your medicine, said Thomas Edison. That's good tip from the inventor of the light bulb. Exercise your lower back every single morning before getting out of bed, take a walk or swim regularly, enjoy healthy choice foods every day and you'll find your body has a lot less pain, and your mind will be freed from an obsession about the doctor, the back breaker and the candlestick maker. 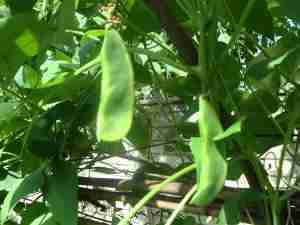 Make a place for some legumes in your daily fun food; most of the world gets their protein from them, rather than red meat; no question about it, they are a step up to the healthier life, reducing our reliance on beef and pork. What are legumes you may be asking? It's a good question, and behooves us each to have an answer; chickpeas and green beans are my favourites. Perhaps you like me love a good burger but are concerned about too much red meat... quite unlike the nasty soya burgers these chickpea burgers are a delight. CHICKPEA BURGERS …. I must confess dried beans are not my favourite but, if we want to avoid the Big C then in one way or another we have to enjoy more legumes for our protein. Cooking lima beans is only for those with a large garden; also known as butter beans they are delicious when enjoyed green, straight from the vine. Plant the in late Spring once the danger of frost is over, and the soil has warmed. Your healthy choice foods recipes will love a slither or two of chillie now and then. I especially like chili in my fresh tomato recipes, with a couple leaves of sweet basil. Even in the smallest garden you will have room for just one chilli plant amongst your annuals. HOW TO GROW CHILLI ... just one plant will give you plenty of spice. "During my time as a nurse practitioner, my patients constantly told me what a struggle it was to balance healthy habits with the chaos of everyday life. I always had two pieces of advice: get educated, and recruit a health-focused partner." Did your eggplant come sealed in a plastic bag to protect it against oxidation. Didn't really need to if fresh, because it has it's own wrapping. It's time to wean off plastic because it's clogging our land fills and, worse, the seas. Mutton, perhaps if you're American you've never tasted, is the sublime meat that comes from a sheep. It has one big advantage - mostly it isn't "corn-fed" and they aren't reared in a sty. It's the only red meat in Holland that I will eat. They roam the polders at will surrounded by dykes and canals. Good stuff, provided you add a lot of vegetables, assuming you, like most of us, have a "cholesterol problem". Very, VERY delicious... What is mutton? The 'real bread' revolution in the UK has brought home to us the junk status of supermarket bread. But baking your own bread is thought to be a long and tiresome business. That need not be the case; the arrival of the bread machine means that you do all the preparation in just five minutes, and have total control of all the ingredients. It tastes, and is, divine; by adding extra protein and fat you can easily turn it into a low GI loaf that is fit even for a diabetic. By adding a small amount of finely sliced vegetables you can lower it even further; our easy zucchini bread recipe is one my favourites, giving proven protection against cataracts. Give this sourdough bread recipe a try; it's very simple, but you do need a bread machine. You can pick them up second hand quite cheaply; make sure it has a five hour cycle. Every good day should start with a healthy breakfast... make sure you include a little protein or you'll be snacking at 11 o'clock, the quickest way to an obesity problem. Interestingly, researchers reporting in Plos Medicine, after follow a large group for 24 years found that those enjoying healthy choice foods like berries and apples and non-starchy vegetables regularly had much less of a weight problem. Read more at Changes in Intake of Fruits and Vegetables and Weight Change in United States Men and Women Followed for Up to 24 Years. It'll make you read these strawberries nutrition facts. Having a general sense of the caloric count of various foods, and the insulin response produced by carbohydrates (the Glycemic Index) is very important in menu planning and mixing your healthy choice foods. And when you do junk out, like having parboiled rice, just because it's so easy (it has a GI of 100, the same as glucose), understanding how healthy mixing of your foods reduces the rate at which your foods are converted into blood glucose is vital. For example, parboiled rice with curried meat and chickpeas, maraconi with cheese, bread with tomato and lettuce and always my favourite, hummus which has the lowest GI on the chart (6)is not a problem. 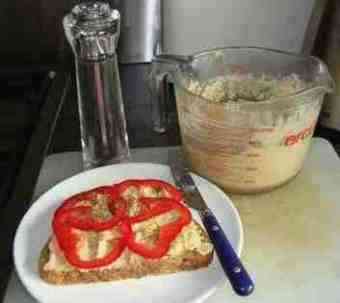 Eat hummus regularly then you can cheat a bit with your favourite junk foods. Try and have a green salad every day. Carbohydrate, of course includes bread. But bread today is so refined, full of chemicals, and made with pro inflammatory omega-6 oil. Panera bread menu recipe is so easy; bake your own. We all love a little sweetening periodically, but sugar is empty calories devoid of vitamins, minerals and phytochemicals, or fibre. Artifical sweetener side effects make them even worse. Processed honey is a little better but small amounts of raw honey can truly place amongst the healthy choice foods; even better enjoy natural honeycomb, if you can find it. Pathophysiology of atherosclerosis oddly is one of the most popular pages at this site. It's an attempt to explain a very complex subject in layman's terms. In short, the health of the inner surface of your blood vessels is vitally important, and healthy choice foods is most of the solution. Research outlined at homocysteine cardiovascular points out that if this chemical is raised in the blood it causes narrowing of the carotid artery; that means the brain will not get sufficient oxygen and nutrients. Cold water fish is just the easiest and most delicious way to increase the Omega-3 in your diet. Smoked mackerel recipes are pre-cooked. Just open and tuck in, what could be easier? The studies on atherosclerosis reveal that the health of your blood vessels is directly related to omega-3 intake. Eat more fatty fish and, if you are vegetarian then grind a tablespoon of flax seed nutrition information every day onto your oats cereal or porridge. There are two concerns here. The first is that those taking calcium supplements have increased calcification of the inner lining of their arteries and more heart disease. However enjoying healthy choice foods that have best calcium for osteoporosis actually lowers cardiac conditions. The second is a substance called phytic acid that is found in bran, legumes and seeds inhibits mineral absorption; however research shows that soaking and rinsing, cooking and fermenting reduces this problems. Are phytates bad? Without a doubt healthy choice foods require more effort and time; but instead you'll be spending at least ten times less consulting doctors. Seeing it from the inside, I'm convinced it's worth your commitment. As the Dutch say, those who will not hear, must feel. Authentic hummus recipe can be made in four minutes with a little practice; that's all it takes to make this delicious cholesterol-friendly food. Along with eggs Florentine it tops my list of healthy choice foods. Four minutes, if you got the Garbanzo beans, chickpeas, all ready... otherwise it takes 9 hours and 4 minutes! They need to be soaked overnight and then pressure cooked for half an hour. Don't buy hummus. It only keeps for about three to four days, so the commercial varieties are filled with chemicals. They taste awful. If I was to recommend the best first step with healthy choice foods, it would be to make your own authentic hummus recipe. Is four minutes twice a week, with a bit of practice, too much to ask? Hummus will transform a very ordinary green salad into a culinary delight. Another wonderful variation is this simple olive garden menu tapenade; it's so easy to make, just make sure you get the pits out. Healthy choice foods; chickpeas, broccoli and walnuts, olive oil and lemon juice. If you haven't already grasped it, broccoli lies very central on our shopping list. Just it's anti cancer properties are enough, but add to that the great taste of broccoli, and you've got a winner. Planting broccoli is a good option too. The branching variety goes on producing florets for months. One of our important items in the autumn veggie garden. This broccoli walnut salad you can enjoy with either lightly blanched or raw broccoli, both are fantastic, and it's so easy to prepare. Fifteen minutes and dinner is ready! Healthy choice food doesn't necessarily take up hours of your time and, when it does, it's still worth the effort. It becomes a way of thinking; shall I spend time growing, picking, slicing broccoli and shelling walnuts or is it more fun consulting oncologists? The only slight negative, and to my way of thinking it's a positive, one of your optional broccoli walnut salad ingredients is chickpeas, and those you do have to soak over night, and then pressure cook for fifteen minutes. Only use freshly squeezed lemon or lime juice and I always use the pulp; you lose so much of the nutrition by straining it. Do get the pips out. Preserved juice is full of junk and cannot be called a health food. Plant a lemon tree, or make sure citrus is weekly on the shopping list. But they're so full of the soluble fibre that your colon loves, and also rich in phytosterols known for their ability to lower cholesterol levels and promote heart health. What are phytosterols? Five coloured foods every day is a must, and I aim for ten, not fussing about the quantity. Her's a little tip. I cook a kilogram of chickpeas, two pounds, and freeze them in small packets for when I need them instantly for a broccoli walnut salad, or hummus, or meat stews. Just the great taste is enough, and you can add a handful of raisins, juggle the recipe and turn it into a broccoli raisin salad recipe. For me a recipe is just a framework to develop your own cooking personality. How would a side dish of tapenade be? That is, lower the low density lipoproteins, that are associated with heart disease. Phytosterols increase the friendly cholesterol, that which cleans up your blood vessels, known as high density lipoproteins whilst simultaneously lowering the bad cholesterol. This is almost certainly also the reason why walnuts are proven to lower diastolic blood pressure. This makes broccoli and walnuts a winning combination; they are both very high on our list of healthy choice foods; taste great too. If Helen's 15 euro salad doesn't fix your constipation, I'll be totally astonished. It fixed my 28-year problem... it's a fantastically delicious and healthy alkalising supper anyway. What's more you can prepare it in ten minutes. Fifteen euros of value, about two euros to make it. Helen's apple salad recipe is a goodie too; full of the pectin, the soluble fibre that makes for a happy colon. Broccoli facts will keep you up to date. Interesting new research shows that a bi-weekly broccoli dish has a profound impact on the highly aggressive prostate cancers, and other CA too. How to grow broccoli suggests we choose the branching varieties; they just go on and on bearing, and it's in these florets that the richest cancer-preventing sulforaphane is found. Few things scare a man more than loss of libido and erectile dysfunction; and that's exactly what the cholesterol-lowering drugs called Statins do. Our cholesterol-lowering foods and for example the humble tomato soup recipe are of prime importance... consider rather foods that lower cholesterol naturally. Far better, safer than nasty statins. Did you know, for example, medicine's own research shows that taking statins, unless you have have a heart condition, is valueless? Well, unless you're the owner of a big pharmaceutical! FOODS THAT LOWER CHOLESTEROL ... side effects of Statins. The epidemic of Alzheimers and senile dementia in today's modern world is very scary. To achieve all those goals we have set for the next 20+ years, you and I are both going to need plenty of Omega-3 fatty acids. Those are the fats that the brain and the nerves are made of. Fatty fish, like our mackerel recipes, and growing butternut squash, and our made in a jiffy Smoked Salmon Dip recipe are definitely on the healthy choice foods menu. So will planting a walnut tree, and another avocado tree. Avo oil is 26% "essential" polyunsaturated fatty acids (PUFAs) that our brains desperately need if we don't want to lose our marbles. SMOKED SALMON DIP RECIPE ... make it in 5 mins literally. Yellow foods are rich in vital beta carotene, the precursor of vitamin A. Good for the skin, and all epithelial tissue. The lining of the gut for example if you suffer from the nasty colon diseases. Delic in any case; they are very important amongst your healthy choice foods. Every man needs to be concerned about his prostate. It is after all the most common terminal cancer in men, and the treatment is awful... it often leaves you impotent! Even benign prostate hypertrophy, a non-cancer, is murder; it's all about healthy choice foods. Allow me to indulge in a little boasting; my urologist just phoned, astonished that my PSA is 0.9; unheard of in a man of my age; healthy choice foods. So growing tomatoes in general, our tomato soup recipe, and foods that are rich in phytosterols have to be high on the prostate agenda in the coming years. the incidence of poor memory in the young and middle-aged is much higher than expected. again not smoking, a healthy diet and regular exercises was associated with better memory in all ages. older adults scored better on exercise, a healthy diet and not smoking than did young and middle aged adults. There's an ever increasing shift to a poor lifestyle in young adults. There's an abundance of research that raw food is healthy food. You and your children should be eating a minimum of five coloured fruits and salads every day. It's also slow food made fast. Raw food contains the enzymes that are denatured by cooking and, whilst we may not appreciate the difference, the astute tongue certainly can. Try squeezing your own orange juice and then comparing it with orange juice out of a carton. Compare raw, unheated honey with what you buy in the supermarket. Bite into an apple and compare it with apple juice. There is a difference. Always eat the peel of the apple too, that's where 75 percent of the soluble fibre that keeps your colon happy is to be found. Avoid the supermarket mayo; it's full of the evil for your nervous system hydrogenated fats. For your tuna and mayo, or on your raw salad, rather use this easy homemade mayonnaise recipe; or just dribble straight olive oil, or our olive garden salad dressing on your lunch. The not so humble apple must also surely rank high in our list of healthy choice foods. It's virtually a by word that an apple a day keeps the doctor away. What started out as an old wives' tale, research has now confirmed that the magnificent apple is probably one of the very best medicines on the planet. Improving lung function, curing a heap of tummy troubles, reducing the risk of cancer and much more; read about it at our apple diet page. Few things are lovelier than to bite into a crisp apple, but alas I forbid it for patients with jaw joint conditions; our apple salad recipe is a delicious and healthy alternative. In whatever way you choose make sure that lettuce wraps recipes are somewhere on the menu; just avoid Iceberg; boring and lacking in nutrition. Few things are destroying our planet faster than the pollution of our seas. Do your level best to wean off plastic. Eight million tons of our plastic garbage is dumped every year into our oceans. Will there be a pristine beach where your grandchildren can sit? If it's wrapped in plastic, try not to buy it. If you're looking for more protein in your diet, then give thought on how to grow peas; fresh from the garden, they are divine on any salad. Be especially careful of a low carbohydrate-high protein diet, especially if it's red meat; but legumes like peas are just fine. Healthy choice foods means selecting more protein of vegetable origin. Also reflected in the research was that lowering refined carbohydrate was fine and had no effect, but reduced of whole carbohydrates was associated with an increased cardiovascular outcomes. Also noted that in this research there was no increase in fat in the diet, energy requirements coming from the protein. So this would not be pertinent to thos banting or on a ketogenic diet. The buzz word these days is a monumental shift to healthy living and with good reason; folk are sick and tired of being sick and the ever present threat of cancer and heart disease has frightened us. At healthy living tips you'll find a lot more to absorb your interest. One of them you'll discover is read the labels carefully and with a degree of distrust; food companies are notorious for their lies, damn lies and statistics. Here you'll also find our top 7 functional foods for your health; not surprisingly many of them are listed above. LOWER LUMBAR BACK PAIN; yes, research shows that lumbar arteries clogged with cholesterol and cigarette ash actually is a major cause of back pain. Your back needs oxygen, just like all living tissue. Go from HEALTHY CHOICE FOODS to Panera bread menu recipe. Bernard Preston is a semi-retired chiropractor with a passion for healthy choice foods, taking virtually no medication and hoping to reach a happy eighty years of age with all your joints and brain intact. It can be achieved, but an equal passion for healthy living is an inviolate part of the deal; plus a regular walk in the sun with a hat. A fascination with healthy choice foods means that a life without medication is a real prospect, and you can forget fussing with calorie intake for weight loss; this is a short story, by the way; one of my favourites. 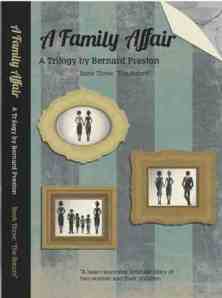 A Family Affair - a trilogy $.99 each. That's right 99c, you can't lose at that price.